Apr 30, 2018 - Cloudflare, a global content delivery network (CDN) provider delivering Internet performance and security solution to its customers, has announced record network growth in the first quarter of 2018. Cloudflare added 32 new cities, growing its network to 151 Points-of-Presence (PoPs) globally. Cloudflare now protects more than 8 million domains, websites, APIs, mobile applications, and anything connected to the Internet. 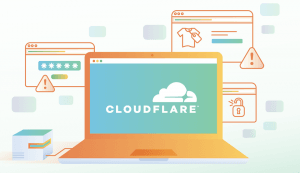 Mar 14, 2019 - Cloudflare Raises $150 Million, Probably Delaying Rumored IPO - Global CDN technology company Cloudflare raised $150 million in its latest round of funding, led by Franklin Templeton. This new funding round for Cloudflare likely delays the initial public offering (IPO) it had planned for the first half of 2019. The $150 million in funding would give Cloudflare some extra time to strengthen its balance sheet before hitting the stock market. Feb 11, 2019 - Global CDN Provider @Cloudflare Announces Strong Network Expansion - Cloudflare (cloudflare.com), a global content delivery network (CDN) technology provider focused on enhancing Internet performance and security for website owners/operators, has announced continued expansion of its global footprint. In the final three months of 2018, Cloudflare has added 10 new data centers, launched its first mobile application, and opened a new European office in Munich, Germany. Cloudflare's new data centers bring its network to 165 global Points-of-Presence (PoPs). With these additions in the United States, Bahrain, Russia, Vietnam, Pakistan, and France (Reunion), Cloudflare has announced a total of 46 new cities in 2018. Sep 22, 2018 - US Signal Expands Product Portfolio With Cloudflare-Powered DDoS Protection - US Signal (ussignal.com), an end-to-end IT solutions provider headquartered in Grand Rapids, Michigan, has partnered with Internet performance and security company Cloudflare (cloudflare.com) to bring a fully managed and customizable Distributed Denial-of-Service (DDoS) protection solution to market. The new service delivered by US Signal provides DDoS mitigation for network, transport and application layers and is backed by a 100 percent SLA. It is powered by Cloudflare's global Anycast network and is implemented by US Signal's information security and provisioning team, with support and customization from its technical operations engineers. Jul 1, 2018 - Hoplite’s Artemis Web Protection Integrated With #Cloudflare’s DDoS Mitigation and DNS Management Solution - Cybersecurity company Hoplite Industries has announced a partnership with Cloudflare to integrate Hoplite's Artemis (hoplite.io) Web Protection with Cloudflare's DDoS mitigation, and DNS management solutions. This partnership would substantially increase the scale and reach of Hoplite's Artemis Web Protection platform. Hoplite's Artemis Web Protection platform employs patented technologies that provide real-time protection against attacks and unwanted traffic directed at websites, and applications. Artemis would effectively unify security layers without requiring site, or application code changes. Aug 25, 2015 - EdgeConneX® Partners with CloudFlare to Deliver Faster, More Secure Internet Content - EdgeConneX®, specializing in global hosting solutions at the edge of the network, announces today a partnership with leading web performance and security company CloudFlare to host its cloud-based edge services platform and Content Delivery Network (CDN) within EdgeConneX Edge Data Centers® (EDC). CloudFlare's next-generation web performance and security platform utilizes the latest technology to process millions of requests per second. Pairing CloudFlare with one of the most geographically optimized data center infrastructures means that EdgeConneX customers will experience a faster and more secure web.